Jon is the in-house Designer that came to Huckins in 1980 after working with Norman N. DeJong & Associates, where he had involved himself in hull, stability and structural design. Jon took advantage of perusing and studying the vast archives of the innovative designs of yachts, machinery and components set forth by Frank Huckins dating back into the 1930s. Combining this knowledge along with his formal studies and hands on experience, he pulled together an informal network of top engineers and marine architects with whom to collaborate with. Jon's vast design abilities, combined with the yards talents, allowed Huckins to surmount most engineering and design challenges presented to Huckins by a family of very savvy and prestigious custom-yacht owners. It is the individual owners that drove Huckins innovations in design that resulted in creating many firsts in the industry and many of those that prevail today. Jon has been a Florida resident for the past thirty-seven years, but hails from Syracuse, New York. Jon received his education from Mohawk Valley Technical Institute, University College at Syracuse University and Westlawn School of Marine Technology where he studied yacht design. 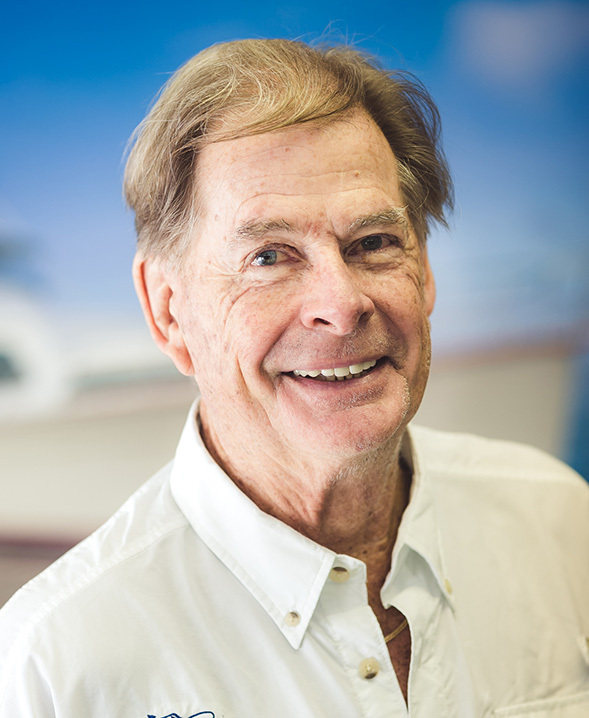 Jon has substantial experience in yacht design and he has been involved in many new construction projects as well as numerous refit projects. Whether its new construction, refit or restoration work; Jon is capable and qualified to make your vision a reality.